When it comes to the most popular TV shows in America, NCIS is at the top of the list. OK, technically it comes in at No. 4 but with an average of 16 million viewers per episode, which is more than This Is Us and another CBS favorite Bull — you get the gist. However, with ratings like that, it's no surprise that the NCIS fanbase would be devastated by thought of losing one of the TV show's long-running character. Particularly, medical examiner extraordinaire Donald "Ducky" Mallard. 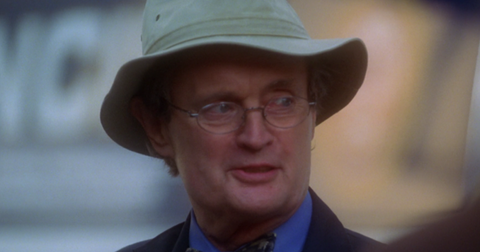 In the most recent episode, Ducky — who is played by David McCallum — hinted at his retirement more than once, even telling Mark Harmon's character Gibbs, "My future will no longer include NCIS." 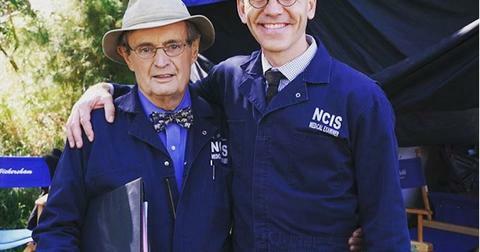 So, is Ducky really leaving NCIS? On the show, Ducky pretty much confirms that his time at the Naval Criminal Investigative Service (in case you were wondering what NCIS stood for) would be coming to an end, and that it was time for Jimmy (Brian Dietzen) to take over as the medical examiner. However, this news shouldn't come as a huge surprise to viewers. David, 85, has been on a working on a limited capacity on the series since Season 15, and even tweeted about his decision to spend less time in front of the cameras. "I am delighted to say that I have reached an agreement with CBS for Dr. Donald Mallard to stay with NCIS for Season 16," he captioned a photo of his cat last year. "Once again it will be a limited schedule. That arrangement will allow me to spend time with Katherine, our children, six grandsons and Nickie, pictured below!" As expected, fans are not handling Ducky's "retirement" well. "DON'T DO IT, DUCKY," one fan tweeted before another added, "I'm not ready to say goodbye to Ducky!" Well, the NCIS team heard your prayers, and it looks like Ducky's retirement is going to be semi-permanent. He will no longer be the lead medical examiner — but rather the new NCIS historian. As Vance described, Ducky's new role would be to "insure that the collective knowledge of those institutions live on for future generations," which means Ducky can come and go as he pleases. Ducky's departure is the latest blow to NCIS fans. Last May, Pauley Perrette aka Abby Scuitto left the show after 16 years. “It was a decision made last year. I hope everyone will love and enjoy EVERYTHING ABBY not only for the rest of this season but for everything she has given all of us for 16 years,” she wrote at the time of her exit. In her final episode, which aired on May 8, Abby was not killed off but rather given an emotional goodbye. After getting shot by a hitman, Abby announced she would be leaving the country. "I’m not coming back,” Abby said on the show. "I’m leaving N.C.I.S. Clay died saving my life, and I owe him a debt and I tend to see that through. Clay always wanted to start a charity in honor of his mom, and since he’s not here to make that happen, I will. I know you may not understand, but it’s something I have to do—not just for him, for me . . . It wasn’t an easy decision. You guys are my family, and this is my home, but you have to go with your gut, and my gut is telling me that I have to go." But here is still a small chance Abby will return, as she told her colleagues, "It’s not goodbye for good. It’s goodbye for now." And it is also rumored that Gibbs himself will be leaving the show, after it was revealed that he signed on as the executive producer of a new series, Prey. However, given Mark Harmon's impressive salary – he's the fifth highest-paid actor on television — combined with the popularity of the show, we don't see him going anywhere anytime soon. "You gotta pay attention to what it took to get it to this point. I don’t forget that, I’ve been in too many shows that haven’t done well," Mark told ET Canada about his time on NCIS. "To have an appreciation for getting up in the morning and enjoying that drive, to know that you’re coming every day to work with friends ... And oh yeah, by the way, it’s the number one show in the world. So, there’s a lot to love here." Tune in to NCIS on Tuesdays at 8 p.m. to watch the last remaining episodes with Ducky.